Chef An's tasty, simple Asian fusion cuisine is as healthy as it is delicious. 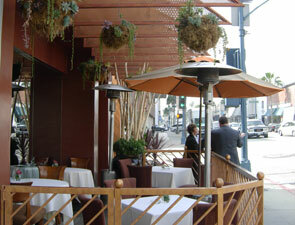 Elegant outdoor sidewalk dining at Bedford Drive and Little Santa Monica Boulevard. 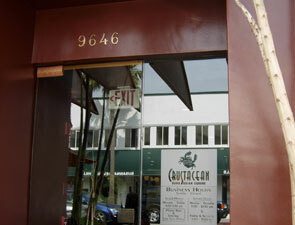 The bar and lounge area of Crustacean features a sunken floor aquarium filled with Koi. This is not the place for a quiet romantic dinner, but it's certainly the place for great food, great fun and a unique dining experience that you won't soon forget. Extensive Euro-Asian menu includes selections from Chef An's "Secret Kitchen." 9646 Little Santa Monica Blvd. Dress Code: Business Casual. No athletic wear, shorts, flip flops. Jeans are fine if they're paired with a nice shirt and shoes.